Thanks to Tom of Plain, Simple Tom Reviews for this recommendation. Brief Synopsis – A band of outlaws plan one last heist before they retire despite being pursued by a former member of their gang. My Take on it – When Tom recommended this film yo me, I was actually quite excited because I haven’t seen it in twenty years and have been meaning to rewatch it for some time now. Director Sam Peckinpaw was able to create a film with a very ‘lived in’ environment with lots of characters who are nicely fleshed out for us to love or hate. The cast is superb and filled with many familiar names which helps us constantly wonder who will eventually live or die. The scenes are shot in such a way that we begin to feel the tension in every scene because it all feels to have been filmed with lots of deliberate patience which raises the level of tension in almost ever scene because we never know when things will happen despite feeling something will. Its easy to see what kind of influence this film and its style has had on talented directors like Quentin Tarantino and it’s definitely all for the better. William Holden, Ernest Borgnine, Robert Ryan, Warren Oates, Ben Johnson and Edmond O’Brian are all superb here. 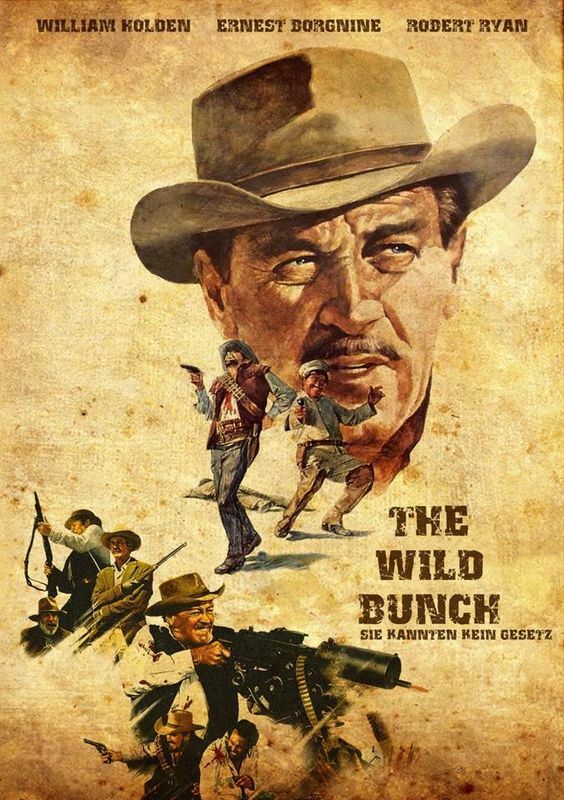 Probably Peckinpah’s best film IMHO. Bottom Line – Loved the way Peckinpaw filmed this. The scenes are shot patiently and keep us on the edge of our seat the whole time. Excellent cast makes you constantly wonder who will live or die. The plot works well and we easily root for the outlaws here. Easy to spot the kind of influence this film had on talented director like Tarantino. Highly Recommended!